2018 can be dubbed as the ‘Golden Year’ for Tiong Bahru Bakery with its many outstanding achievements attained within a year. 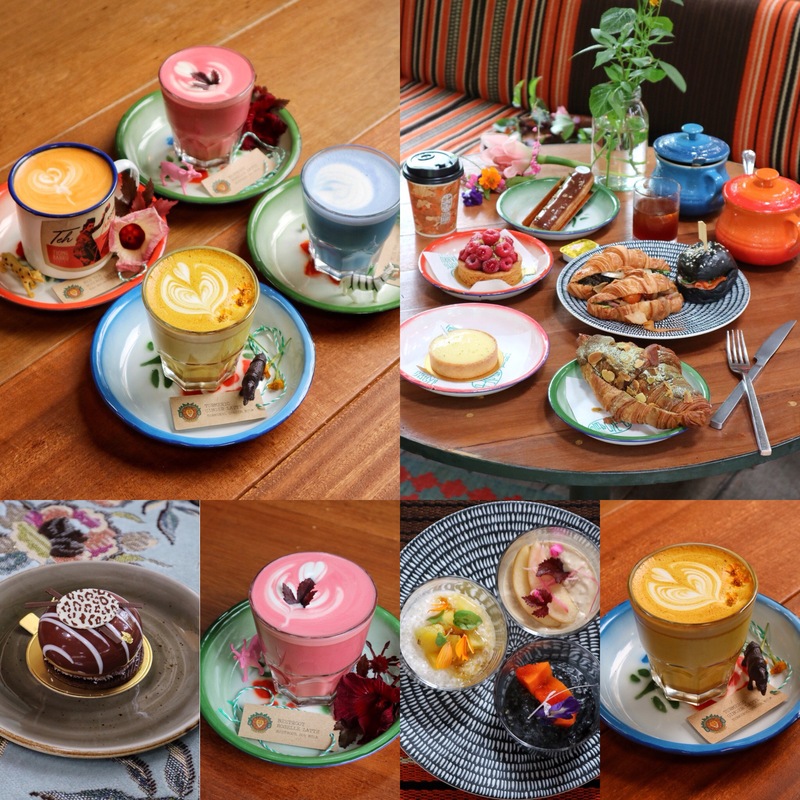 After successfully opening their new outlet in Chip Bee Gardens as well as a collaboration with Tiffany & Co., Tiong Bahru Bakery has once again garnered massive attention for their latest Safari-themed campsite at Dempsey. Inspired by her trip to South Africa, Cynthia Chua, founder of Tiong Bahru Bakery & Spa Esprit Group, shares her love for nature and embraces it at the new outlet in Dempsey. The cafe also houses a 3,000 square foot garden that grows a variety of plants, vegetables, fruits and flowers which is used mainly in Tiong Bahru Bakery’s antioxidant latte selection such as Beetroot & Turmeric, alongside super breakfast jars infused with turmeric roots, rojak flowers and edible flowers exclusively only at the Safari outlet. So, ready to get up-close with Mother Nature? Head over to Tiong Bahru Bakery Safari to experience it yourself! Oh yes, the new space is also perfect for your OOTD shots! Tempted to check out TBB Safari after seeing the collage? Because I am so tempted to head back there now with my friends for a laid-back brunch! Some of my fav items at Tiong Bahru Bakery! Don’t know why but it seems like I’ll always order the same old pastries whenever I visit any of their outlets. Definitely a power breakfast that can fuel me for the entire day! More pictures of the MUST-TRY pastries at Tiong Bahru Bakery! Can’t keep my eyes off the Matcha Croissant – Crispy and buttery croissant filled with rich Matcha sauce that has a subtle bitter aftertaste! The beautiful lattes at Tiong Bahru Bakery! So colourful hor? Looking at them just chase all your sadness away! Oh yes, one thing to note: The colour of the drinks are all extracts from ingredients taken from the garden! Not my cup of tea but if you’re into spices (especially turmeric), you’ll probably love this! It grows on you! First sip, you’ll probably go WHAT? But subsequent sips just gets you hooked! The beetroot flavour gets better and better! I’ll order this again, definitely! Coconut flavour is really strong, and somehow it reminds me of a Nonya kueh! Besides the antioxidant lattes, these breakfast jars (pictures are in tasting portion) are also only exclusive at the Safari outlet. Like what I mentioned earlier, they are all made using ingredients taken from the garden. Loving the one with rojak flowers! TBB is definitely setting the trend! This cake is killing me! So darn good. Loving the rich chocolate flavour (not too jelat) and the super melty texture. So good I wanted to dapao one home! Highly recommended! Okay lah! Enough of the food! Here’s some pictures of the TBB Safari’s new beautiful space! Chio, isn’t it? Remember to dress up because you can really take lots of nice photos here! Previous PostViolet Oon Singapore: Opens New Retail & Restaurant Flagship at ION Orchard with Exclusive High Tea Set! Next PostSushi Chiharu Singapore: 18 Course Omakase Experience with 'Edomae Sushi' Originated 150 Years Ago!